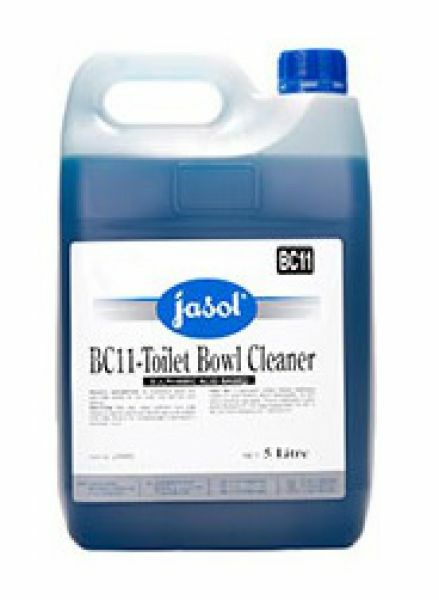 Direct BC11 - TOILET BOWL CLEANER onto the urinal or toilet bowl paying particular attention to the hard to get areas. Apply sufficient BC11 - TOILET BOWL CLEANER so that the liquid runs into the trap or the bottom of the bowl. Allow to act, scrubbing with a toilet brush if necessary and flush. To disinfect ensure a dilution of 1 part BC11 - TOILET BOWL CLEANER per 30 parts water in the bowl. Click here for BC11 Toilet Bowl Cleaner MSDS.